Take a look back at the NBA’s official top 10 crossovers from the 2014 playoffs – some nastiness in there, though not sure if we agree on the order? Check out the 10 best crossovers from the 2014 NBA playoffs About the NBA: The NBA is the premier professional basketball league in the United States and Canada. 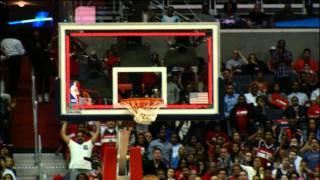 Check out the 10 best crossovers from the 2014 NBA playoffs About the NBA: The NBA is the premier ..